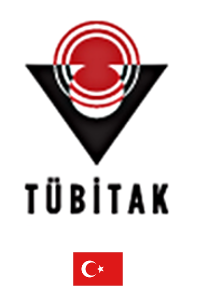 TUBITAK, Marmara Research Center (TUBITAK MRC) is a non-profit research center with over 5000 employees. TUBITAK MRC consists of units within TUBITAK’s headquarters and seven institutes sharing the settlement: Energy Institute, Food Institute (FI), Genetic Engineering and Biotechnology Institute, Chemistry Institute, Environment Institute, Materials Institute, Earth and Marine Sciences Institute. FI has national/international reputation in the field of Food Science and Technology. It was established in 1971 and is accredited according to requirements of EN ISO/IEC 17025 since 2001. The mission of FI is to carry out R&D studies and industrial services to contribute to the food industry to improve its technological ability and to strengthen the competitiveness in local and international markets. The policy of the institute is to make R&D, test/analysis, training and consultancy activities in the field of Food Science and Technology in order to contribute to the technical/technological development of the Food Industry; to respond expectations by giving true and reliable services and to ensure the continuous improvement. Mycotoxin and Mycology group within FI have been conducting activities, with both laboratory and field studies, focused on mycotoxins and toxigenic fungi in different crops of Turkey. Some of the main activities carried out are “Monitoring of mycotoxins and toxigenic fungi in various crops to evaluate the effect of regional and climatic change”, “Evaluation/reduction of mycotoxins during food processing”, “Prevention techniques for mycotoxins during storage”, “Develeopment of analytical techniques for determination of mycotoxins in various crops (Cereals, Nuts, Dried Fruits Spices, Traditional Foods)”, “Molecular and conventional techniques for identification of Mycotoxigenic Fungi”, “Organization of International Trainings and Workshop on Mycotoxin Prevention Methods and validation of mycotoxin analysis for various crops”.